Production of U.S.-model 2008 Dodge Challenger SRT8s is capped at 6,400 units. Dodge dealers around the country quickly snapped up the production run, and there are reports of buyers paying slightly over the car's list price. With a broader range of Challengers to be offered in 2009, there's no need to rush; Dodge will build more. For fans of money, you can keep more at purchase time and at the gas pump with a V-6 Challenger due next year, with a base price of less than $25,000. One look at the 2008 Dodge Challenger SRT8 makes you want to stomp on the throttle and light up its big fat radials. TheCarConnection.com's editors read the latest reviews on the new 2008 Dodge Challenger SRT8 to write this comprehensive review. Experts from TheCarConnection.com also drove the Dodge Challenger to offer you a definitive opinion on this modern-day muscle car. This review compares the 2008 Challenger SRT8 with other vehicles in its class (or those coming soon) to offer you the best advice even when other reviews present conflicting opinions. The focus for the all-new 2008 Dodge Challenger SRT8 is performance. 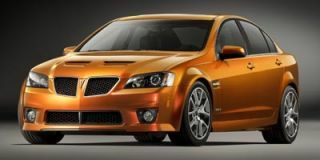 That is why for 2008, Chrysler is offering the most potent pony car it can, period. The SRT moniker comes from Chrysler's Street and Racing Technology group--a band of merry men who give the Dodge Viper its venom while adding extra spice to the exclusive SRT performance versions of the Chrysler 300, Dodge Charger, and Dodge Caliber. For the Dodge Challenger, 2008 marks the nameplate's return after a 35-year absence. The most-remembered Challenger is the 1970 model fitted with legendary 426-cubic-inch HEMI V-8. It is fitting that 2008 Challenger reflects the aura of the original. While some have criticized the new Challenger for not reaching far enough in terms of styling, we've seen the 2008 next to a 1970 edition, and we can assure you that the cars are worlds apart. However, while we're fans of the exterior, the interior styling didn't go quite far enough for us. Muscle cars and pony cars (named after the original 1964 Ford Mustang) aren't really supposed to make perfect sense. Decidedly practical people always ask in a condescending tone, "Why do you need all that power?" Obviously, these folks don't get it. That's OK, not everybody will. Muscle cars are about having fun, and the 2008 Dodge Challenger SRT8 is fun. But even the traditional muscle cars of the 1960s had a practical side--so does the Challenger SRT8. Built off of the same LX platform as the larger Chrysler 300 and Dodge Charger, the Challenger is the largest two-door coupe around (interior-wise). Adults will fit in its backseat, and seating three across isn't out of the question. The 2008 Dodge Challenger SRT8's 6.1-liter HEMI's power (425 horsepower, identical to the rating of the 426 HEMI from 1970) is a thrilling, throbbing engine, and it's teamed well with the six-speed automatic transmission. Expect 0-60 mph times in the low 5-second range with 1/4-mile times in the low 13s. Top speed is estimated to be around 170 mph. Handling is surprisingly adept, and since the wide, flat design tells you exactly where the Challenger sits in a lane, it's easy to zip in and out and give other drivers a first look at this muscle car. Just be prepared to answer repeated questions at every stoplight--and to rev the engine for gawkers, too. Performance is expected to improve in 2009 and beyond, as a larger-displacement HEMI is expected, along with a six-speed manual transmission. In a time when pale, warmed-over remakes of decades-old classics abound, the 2008 Dodge Challenger SRT8 thrills just like the original. The styling of the 2008 Dodge Challenger SRT8--Chrysler's entry into the Detroit pony car revival--has been an instant hit since the concept version made its debut at the Detroit Auto Show in 2006. The production 2008 Dodge Challenger SRT8 remains very true in overall appearance to the concept car that set the automotive world abuzz a couple of years ago. But upon closer examination, there are many subtle details that set it apart from its predecessor. One of the first things one might notice is the undivided grille, which replaces the concept's split grille. Also, the SRT team finessed the aerodynamics of the car in the name of high-speed handling. This includes "a small lip spoiler out back, plus a splitter and two small dive-plane winglets up front," says Motor Trend. Unlike the Charger sedan, which shares little with its ancestral namesake, the Challenger "was designed after the 1970 model and is unmistakably the Challenger from any angle," notes Cars.com. This is a significant achievement, considering that the Dodge Challenger, 2008 edition also shares Chrysler's LX platform (minus four inches in wheelbase) upon which the Charger and 300 sedans are both built. Dodge stays less true to the original car where the interior is concerned. While a black headliner echoes that of the original, Cars.com points out that the 2008 Dodge Challenger SRT8's interior is less 1970s than 21st century, including "exclusive materials and prominently bolstered leather sport seats with accent stitching and embroidered SRT8 logos." Edmunds was less enthusiastic about the Dodge Challenger; 2008’s interior is "somber and dull with only a few metallic trim pieces and orange seat accents to spruce up what is otherwise a sea of gray." 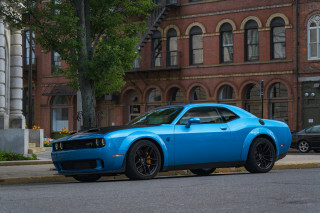 TheCarConnection.com has spent a few weeks behind the wheel of the new 2008 Dodge Challenger SRT8, and judges its styling an unqualified success. While some have criticized Dodge for not reaching far enough in terms of styling the Challenger, 2008’s version is worlds apart when it’s placed next to a 1970 edition. The exterior is spot-on, and while the interior styling could stretch further, it’s at least functional and built from good-quality materials. Power from the muscle-car era with modern-day manners will have you looking for excuses to take the 2008 Dodge Challenger SRT8 out for a spin. If the 2008 Dodge Challenger SRT8's outward appearance is decidedly retro, its performance level is thoroughly modern. Sporting the same 425-hp, 6.1-liter HEMI V-8 found in other Chrysler SRT8 models, the 2008 Dodge Challenger SRT8 delivers a vast amount of thrust when the pedal on the right is pressed to the floor. Its power peaks at 6,200 rpm, at which time the driver's ears will be treated to what Car and Driver calls "nearly 84 decibels of symphonic, mechanized glory." Most reviews have 0-60 happening in about 5 seconds, although TheCarConnection.com has seen reports of times even quicker than that. The top speed of the Dodge Challenger, 2008 edition, is estimated to be around 170 mph. The 2008 Challenger SRT8's prodigious forward motivation is hardly surprising. 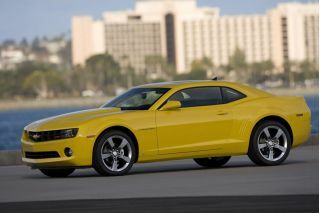 However, as Car and Driver observes of the Dodge Challenger, 2008’s version is "more than just a drag-strip junkie." The front suspension includes special Bilstein dampers, made to SRT specs, while the rear is a multilink design, which should give it an advantage over its archrival, the Ford Mustang, which still employs a live rear axle. Edmunds states that the Challenger "lunges off the corners and swallows the straights." Still, despite being built for speed, the 2008 Dodge Challenger SRT8 doesn't sacrifice much ride quality; according to ConsumerGuide, "Even small bumps and ruts are felt, but only major impacts can be described as harsh." "SRT models always go big on brakes, and the Challenger is no exception," says Motor Trend. The 2008 Dodge Challenger SRT8's brakes come in the form of 14.2-inch front rotors and 13.8-inch rotors at the rear, supplied by Brembo and squeezed by four-piston aluminum calipers. One of the few performance gripes found by TheCarConnection.com was with the steering. ConsumerGuide says, "Accurate steering is marred to a fault by excessive power assist. A shame, because Challenger is an otherwise sharp handler..." Also, some reviewers were disappointed that the only transmission offered is a five-speed automatic, but that will change with the addition of an optional six-speed manual for 2009. TheCarConnection.com’s drives of the 2008 Dodge Challenger SRT8's 6.1-liter V-8 revealed a thrilling, throbbing engine, one teamed well with the six-speed automatic transmission. Handling is surprisingly adept, and since the wide, flat design tells you exactly where the Challenger sits in a lane, it's easy to zip in and out and give other drivers a first look at this muscle car. Just be prepared to answer repeated questions at every stoplight--and to rev the engine for gawkers, too. The 2008 Dodge Challenger has a nicely finished interior with front seats that are supportive and comfortable. The 2008 Dodge Challenger SRT8 is not only a serious performance car, but is also more practical and comfortable than one might expect in this segment. Chrysler's SRT (short for "Street and Racing Technology") performance division is known for adorning its interiors with suede, leather, and a special "carbon-fiber weave." The shifter, door pulls, and steering wheel are wrapped with this material, and Motor Trend says, "This stuff looks and feels great." TheCarConnection.com found that the 2008 Dodge Challenger SRT8 is widely praised for the high quality of the materials used in its interior, although ConsumerGuide is less impressed than most, calling these materials "not cheap looking, but certainly not special, either." The seats in the 2008 Dodge Challenger SRT8 are highly regarded by most, including ConsumerGuide, which says, "The aggressively bolstered [front] seats provide long-trip comfort" and "Compared to the similar-mission Ford Mustang, Challenger's rear-seat accommodations are palatial." In fact, the rear seat is designed to properly accommodate three passengers instead of only two and, as Edmunds reports, "features a fold-down armrest and a [60/40] split/folding back that opens up to the 16.2-cubic-foot trunk." The trunk is also larger than in the Mustang. Unlike in sport coupes of yore, this Challenger's rear windows don't go down, and there's a B-pillar, which creates a blind spot. Visibility and access to the rear are not among the 2008 Dodge Challenger SRT8's strong points, but as Motor Trend writes, this is "not uncommon in any coupe." The jury's still out when it comes to official safety ratings for the 2008 Dodge Challenger SRT8, but there’s every reason to expect the best. The data isn't all in, since the 2008 Dodge Challenger SRT8 has yet to be crash tested by NHTSA or IIHS. However, the list of standard safety features is quite long, including four-wheel anti-lock brakes, driver and passenger front impact airbags, seat-mounted driver and passenger side impact airbags, curtain first- and second-row overhead airbags, front passenger airbag occupancy sensor, height-adjustable front seatbelts, three-point rear center seatbelt, side-impact bars, tire-pressure monitor, stability control, and driveline traction control, according to Cars.com. 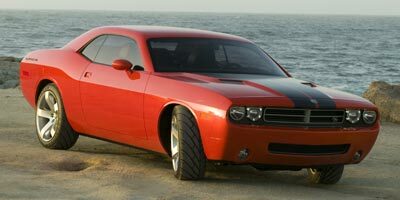 TheCarConnection.com notes that the 2008 Dodge Challenger SRT8 shares Chrysler's LX platform, upon which Dodge Charger and Chrysler 300 sedans are also built. As Motor Trend reports, the Charger SRT8 received a "5 of 5" rating from NHTSA on both of its frontal crash tests, as well as its side impact test in the rear seat area. The Charger didn't score less than four stars out of five on any of NHTSA's tests. Chrysler has been on quite an impressive streak when it comes to NHTSA crash ratings. As Automobile.com points out, "All ten new models Chrysler Group has brought to market since its Pacifica crossover debuted in 2003 have delivered 5-Star U.S. National Highway Traffic Safety Administration (NHTSA) frontal crash protection, the highest rating possible." The 2008 Dodge Challenger SRT8 offers plethora of nifty standard features and a smaller list of optional extras. When TheCarConnection.com compares the 2008 Dodge Challenger SRT8 to the original Challenger from the 1970s, the vast list of features really leaves the old car in the dust. The standard equipment list, as published by ConsumerGuide, includes air conditioning, tilt/telescopic leather-wrapped steering wheel with radio controls, cruise control, leather upholstery, heated front bucket seats with lumbar adjustment, six-way power driver seat, center console, split folding rear seat, heated power mirrors, power windows, power door locks, remote keyless entry, keyless access and starting, AM/FM radio with in-dash six-disc CD changer and MP3 capability, satellite radio, wireless cell phone link, tachometer, trip computer, variable-intermittent wipers, automatic dimming rearview mirror, compass, outside-temperature indicator, universal garage door opener, illuminated visor mirrors, rear defogger, automatic xenon headlights, and floor mats. Car and Driver writes, "Another interesting--and seriously cool--new bit is the Performance Features display, which is part of the multi-information screen nestled into the gauge cluster." This gadget contains a g-meter and will measure and proudly display 0-60 mph, 1/8-mile, and 1/4-mile acceleration times, as well as 60–0 mph braking distance and g-forces. The optional equipment list for the 2008 Dodge Challenger SRT8, as published by Edmunds, is brief: "sunroof, the MyGIG combination navigation and music server system, and ultra-performance summer tires." While the summer rubber would be a nice addition to the 20-inch aluminum wheels, the MyGIG system, with an internal hard drive starting at 20GB for storing music and video, is a very cool feature. Looking for a different year of the Dodge Challenger?